If Popcorn for the People had a kernel, it was 24-year-old Samuel Bier. Bier, who is autistic, wanted to work, travel, and live like everyone else. Three years ago, he applied for jobs, but was constantly rejected. The unemployment rate for people with autism is 80 to 90%, and it was clear that the system was working against him. That was until his parents, two doctors, saw him joyfully eating popcorn while watching Monty Python. 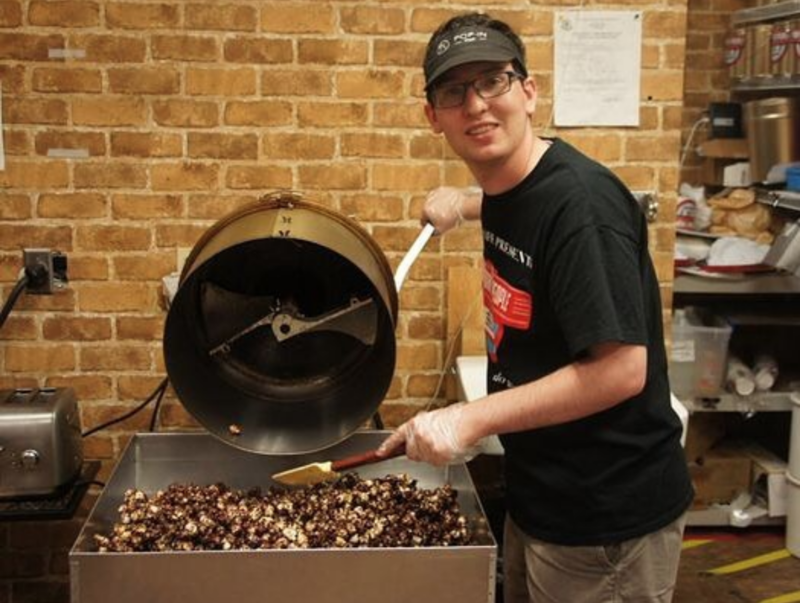 Combining Sam’s determination and his favorite snack, Dr. Barbie Zimmerman-Bier and Dr. Steven Bier created Popcorn for the People in order to give opportunities to people like Sam and lower the unemployment rate for people with autism. Sam began making the popcorn flavors, developed by Chef Agnes Cushing-Ruby, who also has an autistic child. For the record, Popcorn for the People’s popcorn is really, really good. The flavors are unique: cookies n’ cream, buffalo wing, french toast, and salt n’ vinegar. For the less adventurous, there are options like white cheddar and butter salt. 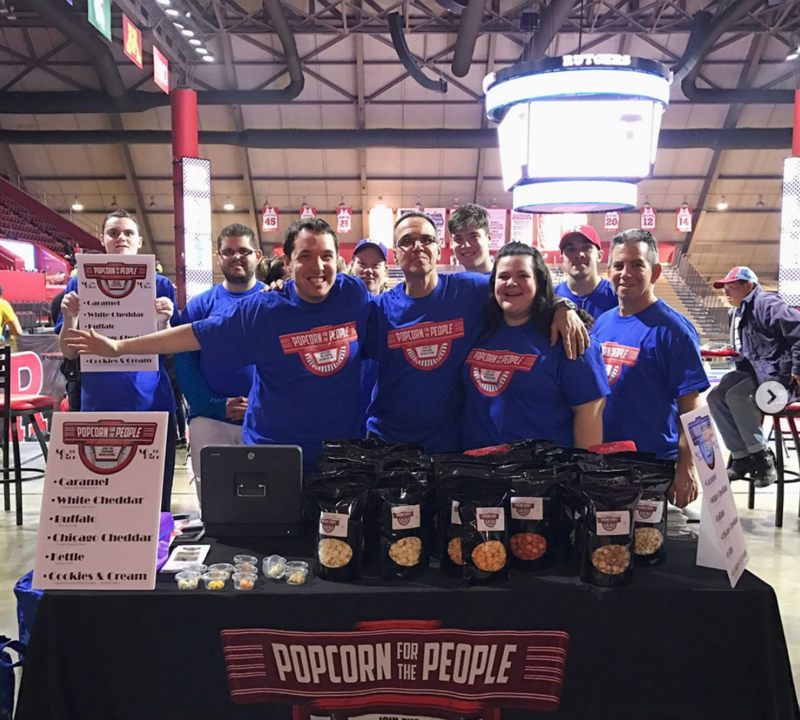 The company employs 15 adults with autism and other developmental disabilities to produce the popcorn, and has another team of 15 that Chief Event Manager Steven Frank brings to events in places like Rutgers University, Red Bull Arena, and Lyric Theatre, currently home to Harry Potter and the Cursed Child. Frank ended up selling popcorn in Red Bull Arena through a big name who was willing to help. “We got in through Doug Flutie, an ex-football player whose son is autistic. He gave us a grant to expand our organization, and he got us into Red Bull Arena,” Frank says. The former Buffalo Bills quarterback became a game-changer for Popcorn for the People because it hires people like Flutie’s son. The Flutie Foundation grant helped pay for a new processing facility in Piscataway, New Jersey, that is approximately 2,400 square feet bigger than the old space in East Brunswick. Popcorn for the People is the social enterprise of Let’s Work for Good, a nonprofit founded in 2015 to create meaningful and lasting employment for adults with autism. They train, support and create long-term employment for their hires, combatting the social isolation many people with autism feel when they leave high school. They operate out of New Jersey, which has the highest autism rate in the United States. Since 2000, autism in New Jersey has climbed 200%, and one in every 34 children is affected. 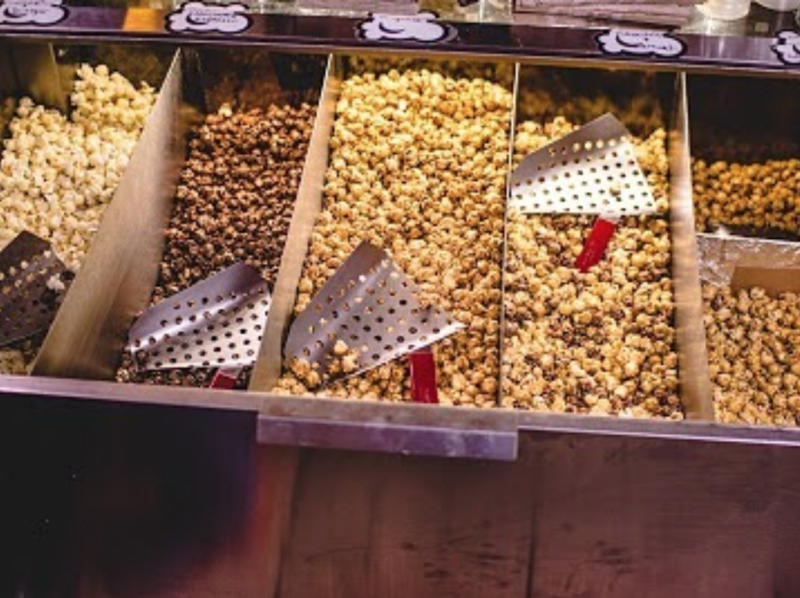 According to Popcorn for the People, three bags of popcorn provide at least one hour of employment for an adult with autism or another developmental disability, with employee ages ranging from 20 to 50. All of the proceeds from the sales go directly to Let’s Work for Good. This month, Popcorn for the People also began a partnership with Goldman Sachs, setting up shop in the lobby of the banking giant’s headquarters at least once a week. November 1 marked their second visit to the West Street building, and Steven Frank is happy to report that the popcorn sold out both times. The company also recently began selling their popcorn bags for $7 on Amazon, advertising their 12 artisan flavors as gluten-free and kosher. Bigger tins are available on their website, and sold in sizes ranging from 1 gallon to 6.5 gallons. Prices for the tins range from $27 to $63.